There are approximately 120,000 children in Russian orphanages, and until recently, about 3,000 were adopted annually by foreigners. The Dima Yakovlev Law was signed on December 28, 2012. Among other things, it bans the adoption of Russian children by families from the United States. The law was overwhelmingly approved by the Russian legislature, and the Russian Orthodox Church also issued a statement of support for the law, while international reaction to the law has been largely negative. The Russian-language (English subtitled) documentary Children of the State introduces the law, explains how it came to be, and tries to paint a picture of the impact of the law on children with special needs living in Russian orphanages. The film weaves in the story of Katrina Morriss, an American woman whose family was in the process of adopting Lera, a young Russian girl who has Down Syndrome. The Dima Yakovlev Law came into effect prior to the completion of this adoption, and so Lera remains in an orphanage. We learn that Katrina has attempted to enable Lera to be adopted by a Russian family, but this also has not come to pass. The film provides statistics to say that the vast majority of Russian children with Down Syndrome are surrender to orphanages, and the majority of children in orphanages are abused. The Law signed by Russia banning the adoption of Russian children by American families has certainly impacted Lera, and has likely impacted other children in the orphanages as well. Families who had been in the process of adopting from Russia have expressed their heartbreak at not being able to bring home a child that they had already come to love, as well as their fear for the children’s wellbeing. Children of the State manages to bring viewers into interviews with domestic Russian advocates and international advocates for children, Russian policy makers, Russian orphanage directors, and an American family who had been pursuing the adoption of a Russian girl. It provides us glimpses of life inside Russian orphanages, and shows children happily at play while also affirming that children deserve families rather than life in an orphanage. The documentary anticipates objections against international adoption, and establishes that without international adoption, many children - perhaps especially those with special needs - do remain in these orphanages. There are scenes which visit families that have successfully adopted from Russia and whose children are thriving. The love that these parents and prospective parents feel for the children is powerfully evident, and they are willing to go to great lengths to advocate for wellbeing of the children, regardless of whether they are able to adopt – or even visit – the children. Katrina accurately identifies that some of a child’s reported special needs are due to conditions in the orphanage; in foster care as well, some children thrive when they are placed in a nurturing family, in spite of previous reports or worries. Lera’s orphanage director obviously cares about Lera. This documentary does show adults loving and caring about children, even though the official child care system has prevented their adoptions. This documentary does not attempt to be impartial; it very much opposes the ban. The film refers to children being “held hostage” four times, and also refers to the children being hostage “to adults’ political games, corruption, and cold-bloodedness” and to “mindless, manager-like care.” These phrasing choices do contribute to the documentary’s rather unbalanced feel. At the same time, the film interviews Russians who support the ban, and highlights their fantastical reasons for wanting to avoid Russian children being adopted into America; some speak of Americans disassembling Russian children for body parts. Certainly, anyone would object to adoption if they believed that to be true, and this documentary shows that at least some of the Yakovlev Law’s supporters do believe it. 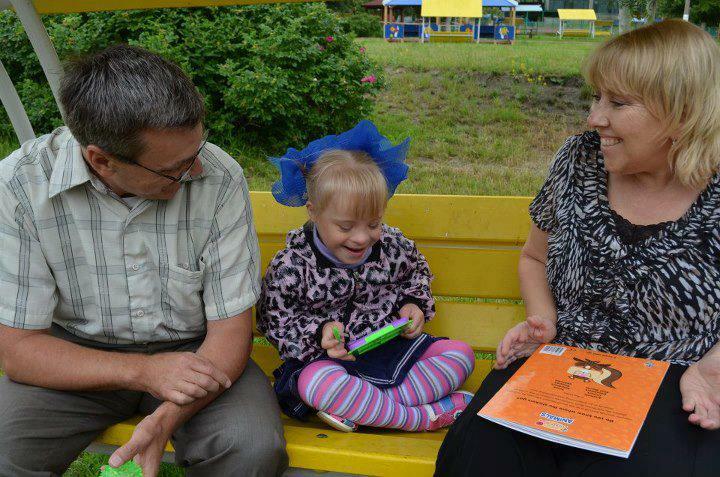 One interview subject says that Russian women often surrender children with Down Syndrome because doctors advise them to do so, saying that the child will not recognize her, and that her husband and friends will leave her if she keeps the child. It would have been helpful to show how American adoptive families would honor and promote Russian culture in their children’s lives. Children of the State is a Russian documentary with English subtitles, and I am wondering whether what I’ve described as an “unbalanced” feel is more reflective of a style of filmmaking that I haven’t been exposed to. Anyway, Children of the State is worthwhile viewing for adults who are considering international adoption as well as for adults who are considering foster care adoption of older children or children with special needs. It doesn’t seem likely to appeal to kids. 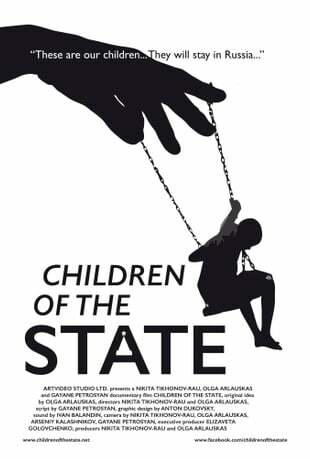 You can find the trailer for Children of the State by clicking here and you can also learn more by visiting Children of the State's Facebook page. How can Americans ensure that children who were adopted internationally are brought up with exposure to the culture of their birth family? At what point do you become the parent of a child that you adopt? Is it immediate, or does it occur in stages? If you were unable to adopt a child, would you continue advocating for them? To what extent?